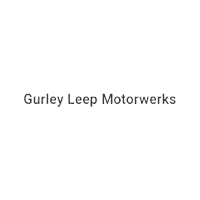 Gurley Leep Motorwerks in Mishawaka, IN treats the needs of each individual customer with paramount concern. We know that you have high expectations, and as a car dealer we enjoy the challenge of meeting and exceeding those standards each and every time. Allow us to demonstrate our commitment to excellence! Our experienced sales staff is eager to share its knowledge and enthusiasm with you. We encourage you to browse our online inventory, schedule a test drive and investigate financing options. You can also request more information about a vehicle using our online form or by calling (574) 254-7130. We look forward to serving you! Bought a new Mercedes and absolutely love the car Omar Ahmed is the best!!! Planning to buy another Mercedes in a year or two and would only buy it from Omar. Also Mike the manager was also great at getting me a good deal. Thank You! My mother has come here for about 20 years to lease her cars. We were helped by Bob Schell from the moment we walked in. My mom had a short list of must haves for her car and though he didn't have it right away, he said he would get it situated. He is charming, knowledgable and great to work with. The whole staff was incredible to work with, a true team. We really enjoyed our buying experience!! He was able to push a deal for her to turn her car in a month early and have it ready sooner.